The synopsis describes the film as “original & inventive“. However, it just looks form the trailer a mix between Groundhog Day. More akin to the Scream, or The Purge franchises than anything actually original. Apart from that, it does look like a fun take on Groundhog day but with murders instead of dangerous driving! A fun looking horror with enough scares to keep you interested. 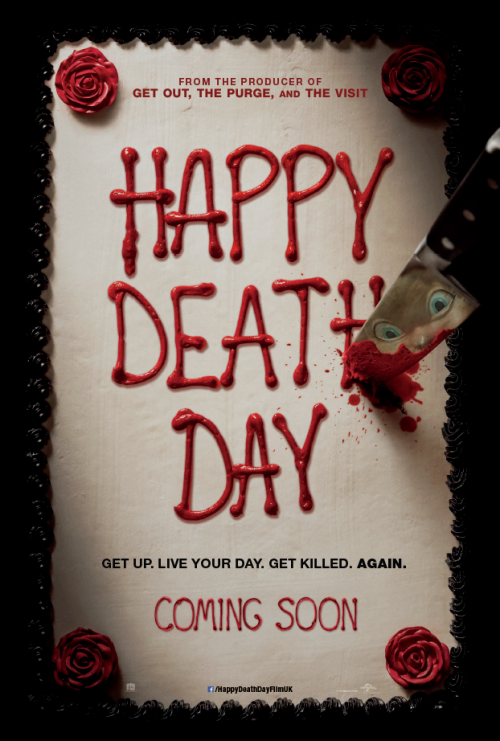 Blumhouse produces an original and inventive rewinding thriller in Happy Death Day, in which a college student relives the day of her murder with both its unexceptional details and terrifying end until she discovers her killer’s identity.